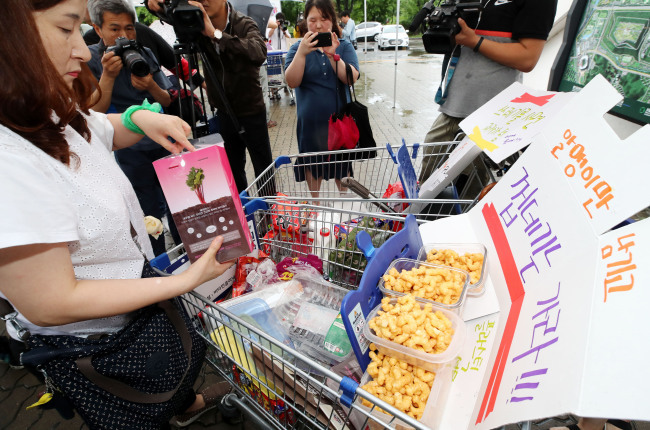 Environmental activists staged a protest against the use of excessive plastic packaging in Seoul on Monday. 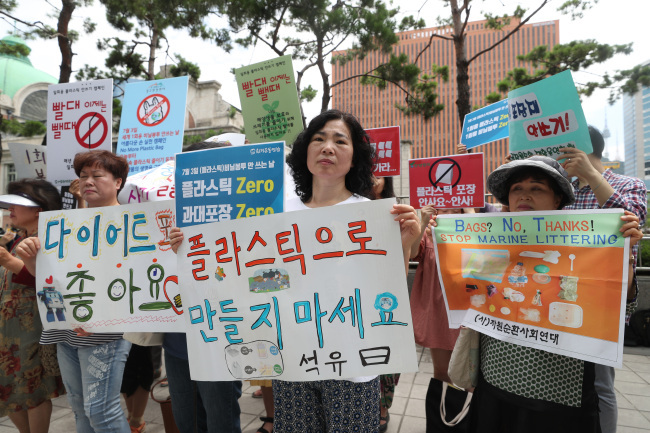 In celebration of International Plastic Bag Free Day on Sunday, members of environmental groups including the Korea Zero Waste Movement Network staged a protest outside a supermarket near Seoul Station. 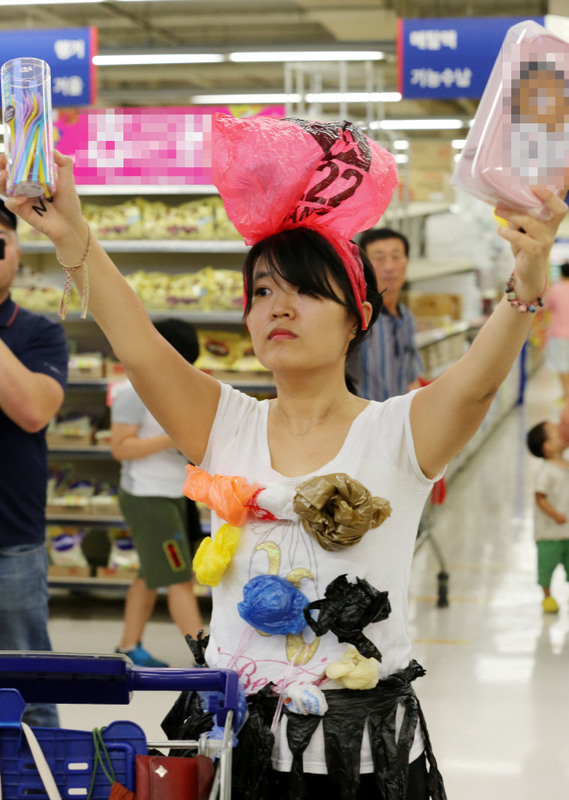 Monday’s protest follows another on Sunday, which saw protestors shop around wearing rolled up plastic bags, leaving onlookers startled with their bold fashion statement. 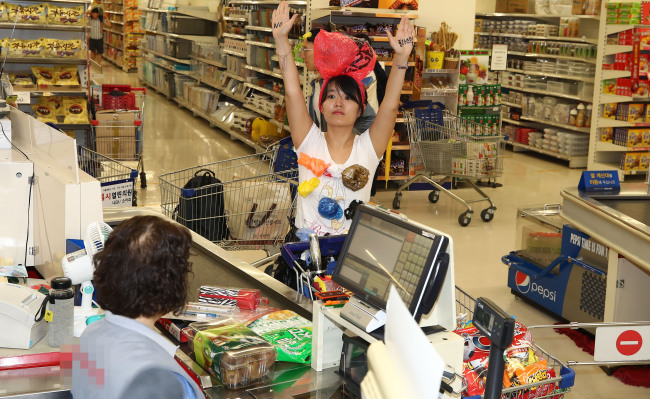 The protest took place as part of Plastic Attack, a global campaign that kicked off in March at Tesco in the UK, which then spread to the rest of Europe including Belgium and Germany.